Premium European Web Hosting, specially optimized for WordPress platform for the best performaces. 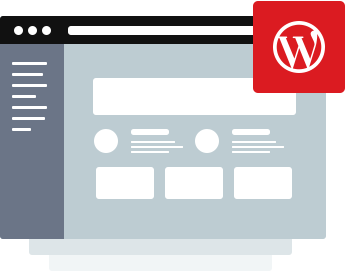 WordPress is software designed for everyone, emphasizing accessibility, performance, security, and ease of use. Due to all this, WordPress is one of the most popular platforms around. WordPress demands good server-side optimization so it can work safe, secure and fast! That’s where we and our Web Hosting platform step it! With our web hosting, you can expect your WordPress website to work 10-20x faster than with regular hosts. Major reasons for this is a fact that our servers are based on Pure SSD Storage and Powered by LiteSpeed Web Server + LiteSpeed Cache for WordPress. P.S. Free SSL is included with all our Web Hosting packages! Not only great pricing for a fully managed VPS, but by far one of the best customer service / tech staff in web hosting land!